A new deep-sea exploration game called Diluvion is now available on Steam and players are starting to complain about a few issues that appeared in the game. Because of that, now the game has pretty bad reviews on Steam. The game has a Jules Verne theme and comes with RPG elements and thrilling submarine combat. The goal of the game is to grow and manage your crew as you explore the deep oceans. The awesome thing about the game is the story. For me, the story was exceptional. Just pay attention to this. Forced into the deep oceans by a Great Flood that occurred countless centuries ago, humanity now lives trapped under a thick layer of unbreakable ice and their survival hangs by a tenuous thread. Just this plot made me want to play the game. What about the game issues? It seems that a lot of players are starting to complain about minor bugs that are making the game annoying to play but not unplayable. First, I don’t understand the bad reviews for this game. It seems that most of them are related to camera issues. But you can adjust the FOV slider to fix the camera angle. Some say there is a bug that resets it, yet I haven’t encountered it in my time playing. Additionally, ship movement is easy to learn and you can edit controls or plug in a controller. Some say there is a bug that resets it, yet I haven’t encountered it in my time playing. Additionally, ship movement is easy to learn and you can edit controls or plug in a controller. What I can tell you about the game is that it’s a lot of fun and it has an interesting concept with nice visuals. The soundtrack and the storytelling are simply amazing. The game comes as a delightfully refreshing change from the usual array of games. The sad part is that it’s pretty short, from start to finish I would say the narrative is 8-10 hours, depending on how you choose to play. Ok so let’s start talking about the Diluvion errors and how you can fix them with some quick tips. Before starting to apply workarounds and fix your issues make sure that you meet the minimum system requirements below. So the first tip that I’m going to give you is how to fix the ship upgrade issue. When you click to upgrade the ship, you get a “Saving” screen which briefly appears behind the upgrade menu and after that nothing happens and you can’t upgrade anything. If this sounds familiar to your keep reading below. This issue happens when you are in the Iron Minnow and you just finished gathering all of the materials to upgrade the ship. The next part is what a player reported. When I return to John Hassley, he takes the blackberries then there is a dialogue between him and hope. It then proceeds to the upgrade screen where it show that I DO have everything, however, clicking ‘upgrade’, which is NOT grayed out, shows a brief flash of ‘game saved’ at the bottom of the screen, but nothing else happens (and it doesnt actually save). You can still explore the ocean without the upgrade so the game it’s still playable. But read below if you are experiencing this. The developers of the game finally responded on the Steam Dashboard and in the end, they released 1.16.2 patch which fixes this issue. So if you still can’t upgrade your ship just restart the game and wait until it updates. After that everything should work fine! Players are experiencing crashes in different situations. Some of them are when starting the game and other when playing it. hen starting the game and a connection is prevented or delayed by a firewall such as Comodo, the game will throw an error and crash. When the connection is allowed and the game relaunched, everything seems to proceed fine. Another player said that he encounters crashes requiring him to force stop the game when he gets near an enemy that it’s either fighting or docking after he killed it. At the first the camera seemed to be bugged, there was no way to move it and the angle was to the left edge of the screen. This annoyed many players but developers acted quickly and fixed this issue in the Latest Build: 1.16.1. They added camera distance slider; camera offset/centering slider and fixed the FOV slider saving. Now you can basically choose betwen the new camera, which is much better, and the old camera controls. Thanks devs for the option to choose between to new- and old camera controls. I like the new one much better, makes a huge difference for me; it now controls much nicer. Cheers! It seems that the Mac players of the game are experiencing lag and low frame rates, like 10-15. The developers said that the lag you’re experiencing is most likely from the depth of field shader, which is different on Mac from Windows and that first, you should try the “Fast Quality Settings” to fix this issue. TBH for integrated graphics chips like the one you have, setting the resolution to a lower setting will have a much bigger boost on performance than the quality settings. We’ll let you know when the DOF bug is fixed! 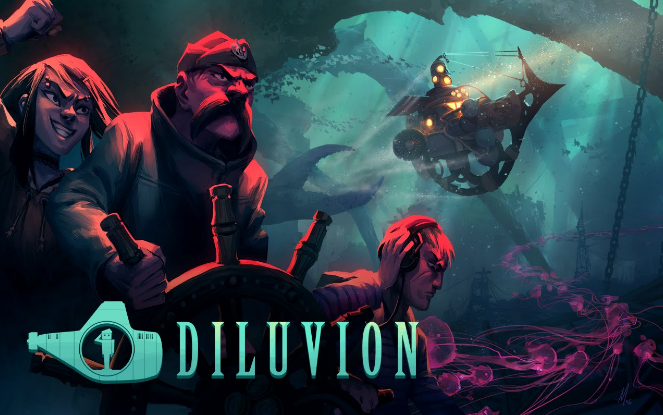 These are some of the most common errors that players experienced in Diluvion. I hope that by now you managed to fix this issue and that our tips helped you to do that. The developers of the game are doing a great job, coming up with daily patches and also helping all of the players have a smooth gameplay with no bugs. If you have any question about the game or about some bug you can comment below and I will try and help you. You can also contact the developers to check their opinion.